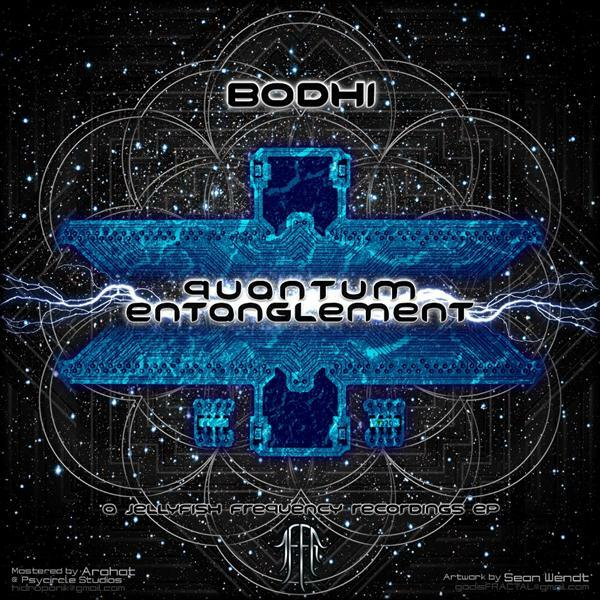 JellyFish Frequency Recordings presents Quantum Entanglement, a fantastic new release by Bodhi (C.L. Martin AKA Bodhisattva 13:20 or simply Bodhi 13:20) out of California. This intense musical movement extends the vibe created with Equations (2009) and Delirium (2013), innovating by incorporating hard psychedelic head trips with stomping dance floor grooves perfectly suited for extended outdoor gatherings. In all, these tracks are edgy, clean, trippy, and pure fuel for non-stop movement. We are integrating science and spirituality! Mastered by Arahat (Tom G.) @ Psycircle Studios, San Diego, U.S.A., with artwork by Sean Wendt. Special thanks to Johan Konvndrvm, Kindzadza, Bridget Angel, Meerkat, Electrypnose, Mubali, Arahat, Limbertimbre, and the Psycircle crew.